All the best men's style essentials you need, every day. Need new boots? I’d STRONGLY urge you to consider the @taylorstitch Ranch Boots — as good as it gets! September 29, 2018 August 31, 2018 by Beau H.
Timeless, durable leather boots that pass every test you could throw at ’em. Image courtesy of Red Wing Heritage. Let’s keep it simple to start today’s Style Pick of the Week off the right way, folks: For fall, you need nothing less than the Red Wing Heritage Rover Boots on your feet. After all, if you’re going to snap up a pair of stylish leather boots just in time for the season, you might as well make ’em the best of the best. And if you read the blog at all, you’re aware that we’re all about quality, timeless materials and a distinct sense of versatility & toughness — all of which Red Wing Heritage stands by. And the Rover Boots in particular sit right in the crosshairs of what you should be looking for this fall — boots that simply won’t quit, the kind that’ll pair with your favorite dark denim and a flannel shirt or a thermal henley for weekend (and weekday) adventures aplenty. They’ll work with more outdoors-minded pieces like tough chore pants and a rugged flannel-lined trucker jacket, too. What separates the Red Wing Heritage Rover Boots from the rest of the pack? It’s simple: The same approach and attention to detail that makes any pair of boots from the brand tough to beat. The best boots for fall start with the best leather, and Red Wing sits at the top in that category — they make it look easy with full-grain, oil-tanned leather from their own Minnesota tannery. Goodyear welt construction, a process that allows the boots to be resoled after years of hard wear, also, sets the beautifully rugged Red Wing Heritage Rover Boots apart from the pack. Another look at the workman-like profile of these tough leather boots. The construction of these boots is notable for another reason — they’re, somewhat incredibly, water, stain and perspiration-resistant — yep, the Rover Boots are as tough and stylish as it gets. You’re also riding easy in terms of comfort: These durable boots are built from the ground up with a crepe rubber sole. So, you know they can stand up to most anything. Might I also suggest you snag a handy Red Wing product care kit to keep the Rover Boots looking fresh? That’ll do it. Heck, even the price is a selling point when it comes to the Red Wing Heritage Rover Boots — try finding a pair of boots like this for under $300 anywhere else. It’s tough to do, yes? I think you’ll agree with me when I say the Red Wing Heritage Rover Boots are all you need for fall, right down to the USA-made construction. Who else is ready to break out these handsome, rugged and stylish boots? I thought so. If you pick up these boots, keep me posted on Twitter. And thanks for reading! September 28, 2018 September 26, 2018 by Beau H.
So, we’re doing things a little differently to start the Friday Read — or this edition, at least. You’ll notice the exceptional Danner Mountain Pass Boots featured up top (and down below) to kick things off. They’re a great pair of adventure-ready boots to get your fall weekend started — but that’s just my two cents. For future editions of our weekly recap, you might see a tasty craft beer or a great vinyl record featured, or perhaps a photo from a worthy long read at a Style Guide-approved site like Esquire. Either way, just something to get the gears turning to end the week. What’s on your weekend agenda? For me, it’s a pretty packed one. Coming off the absolutely amazing Audiotree Music Festival last week with my wonderful fiancée Laura, it’s time yet again for another festival — on a slightly different scale. My favorite band and my heroes, Cincy-bred indie rockers The National, are hosting a very special two-day festival at the iconic Forest Hills Stadium! Titled “There’s No Leaving New York” — a fitting adage for a global band that came up in Brooklyn — the weekend is set to feature two headlining sets by The National (whoop! ), plus performances by indie luminaries like Future Islands (whom I saw in Portland last year! ), plus Cat Power, Phoebe Bridgers and Jason Isbell and the 400 Unit, for starters. Talk about an action-packed two days, right? In the midst of all of that, I’m aiming to hit up the nearby Finback Brewery, and take care of some writing and blogging in the meantime. Hopefully, your weekend includes some tasty coffee, some excellent craft beer, some terrific music and perhaps, some shopping for men’s style essentials. Without any further chit-chat, onward through the Friday Read! First things first, let’s start with a bang. A great shopping recommendation, as mentioned above. How’s that sound? Danner just dropped the exquisitive Danner Mountain Pass Boots as an exclusive to Huckberry, and man … are they something else. Get them now, and then wear them as much as you want, with everything from faded dark denim and a trucker jacket to slim chinos and an Oxford shirt. Now, if the Danner Mountain Pass Boots aren’t your thing, I think I’ve found an alternate pair, and they come from Austin, Texas. HELM Boots is a brand I’ve long admired for the careful, considered and significantly stylish way in which they approach their craft — the HELM Boots Muller Boots are no different. Read all about ’em here on the blog, will ya? OK, so you’ve got your new go-to boots, right? What are you wearing up top? I’m going to point you right toward my latest for GearMoose, covering the best men’s flannel shirts for the season. There are picks aplenty from brands you’ll surely recognize, including my pals at Taylor Stitch. Gear up and get ready — maybe pair one with your new favorite henley, yes? Speaking of favorite henleys, I think it’s worth bringing this Style Pick of the Week post back to your attention — that means this tough, stylish henley should be a go-to essential any day of the week, right? Alright, my friends. That’s wrapping up today’s Friday Read. Join us tomorrow, as always, for our Style Pick of the Week, and follow along on weekend on Twitter and Instagram. Cheers! September 26, 2018 September 27, 2018 by Beau H.
A classic, casual corduroy shirt — just different enough to work into your fall style rotation. Are you prepped for fall? A bit? Kind of? Sort of? At least when it comes to the best men’s fall shirts, the excellent Portuguese Flannel Lobo Shirt can certainly help. It’s made from cotton corduroy in a unique and rich Olive color, a nice way to change up your shirting rotation from that classic chambray shirt you always find yourself wearing (or maybe that’s just me?). And at any rate, it’s high time we incorporated some more rugged, tough fabrics into your list of fall style essentials — that’s where the good folks at Portuguese Flannel come into play. The Lobo Shirt is deceptively easy to wear; don’t let that unique corduroy fabric fool you. It’s definitely not your dad’s corduroy shirt — it features a tailored fit, plus a chest patch pocket for a bit of visual interest. Throw in a classic buttondown collar, and the Portuguese Flannel Lobo Shirt really isn’t too much different from your favorite Oxford shirt. In my estimation, that should make it a pretty easy buy when it comes to shaking up your fall weekend (or weekday) wear. OK, so let’s say you’re a bit hesitant or unfamiliar with how to wear a corduroy shirt — again, think of it like your favorite casual shirt. Dark indigo denim and rugged brown leather sneaker-boots would be a winning combo, as would a thermal henley, slim black jeans and classic suede chukka boots. Want to go a bit more dressy with it? Style the Lobo Shirt with a navy cotton blazer, slim grey chinos and brown leather dress shoes for a day at the office. Need to wear it in a truly rugged style situation (I.E. A fall camping trip)? You really can pair the Portuguese Flannel Lobo Shirt with a long-sleeve thermal shirt, tough chore pants and tough hiking boots to go off-trail. A fall shirt that can do it all? Sounds great to me. As always, thanks for reading! September 25, 2018 September 6, 2018 by Beau H.
A classic, American-made crewneck and rugged, functional gear picks. We’re shaking up the format of our #OOTD posts just a bit this go-round — notice the ensemble full of men’s style essentials, now positioned at the TOP of the page. So, here we go. We’re getting into it with a classic, comfortable and well-made crewneck sweater from American Giant, a favorite brand. And we’re accenting it with plenty of casual fall style essentials, the sort of gear that’s going to work for a weekend of orchard or winery tours, a pub crawl, a trip upstate or just a laidback day lounging at home, watching some college football and doing a little yard work. Truly, the Danner Mountain 600 Chelsea Boots and casual layering pieces like your new favorite long-sleeve tee are going to get a ton of mileage in each of those scenarios. Why get all “dressed up” just to do those things? As we always say at The Style Guide, the small details matter, and this casual #OOTD gets plenty of ’em right (at least, that’s what I think). So, away we go! The Crewneck Sweater: American Giant Classic Crew in Navy, $94 — See, told you we’d start off with a tried-and-true essential. Soft fabric, an easy-to-layer fit and a rich, neutral Navy color make this a new fall and winter must-have. The Essential Long-Sleeve Tee: Jungmaven Baja Long-Sleeve Pocket Tee, $49.98 — Comfortable, casual and yet surprisingly good-looking — that’s what you get with the Jungmaven Baja Tee. Not your average long-sleeve shirt, to say the least. The Pants: Faherty Brand Comfort Twill 5-Pocket Pants, $148 — More casual than chinos, a bit more versatile than denim, more dressed up than sweatpants — these Comfort Twill 5-Pocket Pants have laidback weekend style written all over ’em, yet you can also wear them on a day hike or a trip upstate. The Rugged Fall Boots: Danner Mountain 600 Chelsea Boots, $170 — Blending the comfort of sneakers with the tough appeal and go-anywhere nature of hiking boots, the Danner Mountain 600 bridge that gap nicely. The Socks: Danner Work Midweight Merino Crew Socks, $17 — And to go with the Danner Mountain 600? Why, functional and comfortable Danner socks, of course. That’s the good stuff right there. The Belt: Filson 1-1/2” Leather Belt, $85 — Worried about matching the color of this stylish Filson belt to your boots? That’s the point of this #OOTD being so casual — don’t worry about it so much, my man. The Watch: Zodiac Super Sea Wolf 53 Compression Watch, $900 — Going to be doing some yard work or slamming a few beers? Rugged stuff either way — and the lovely Zodiac Super Sea Wolf is the way to go. The Vintage-Inspired Ballcap: Flint and Tinder Washed Cap, $40 — A recent addition to the Flint and Tinder line, the Flint and Tinder Washed Cap is like a “dad hat” … but much better, much cooler and less trendy. 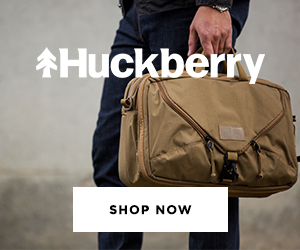 The Everyday Carry Essential: Bespoke Post Terra Box, $45 (When Signing Up for Bespoke Post) — Now, you might not need all of the gear in the Bespoke Post Terra Box — but if you’re heading out on a camping trip or doing some heavy-duty yard work, well, there you go. How did we do with the new format of today’s #OOTD? Did you find it helpful to get ready for your next outdoor fall adventure? As I always say, when you build from the ground up with a classic, American-made sweater, it makes it all the easier to layer up in comfort and style with essentials like the Jungmaven Baja Tee. The casual-yet-crisp nature of the Comfort Twill 5-Pocket Pants makes this ensemble one that can go outdoors (day hike, anyone?) or to a round of burgers and beers — the same goes for the comfortable Danner Mountain 600 and even the excellent Danner Work Midweight Merino Crew Socks. I also maintain that you’re going to get a heck of a lot of use out of the stylish Filson belt — it’s a tough accessory that fits right in with fall and winter. Quick, check your wrist — are you wearinng a rugged everyday watch like the incredible (and investment-worthy) Zodiac Super Sea Wolf? If you haven’t thought about upgrading your off-duty watch, now’s the time to start. To top things off in exceptionally laidback style, go with a cool ballcap like the Flint and Tinder Washed Cap, then finish it all off with the supremely handy Bespoke Post Terra Box. Who’s ready to get out there and go? I sure am. As always, thanks for reading! September 24, 2018 September 19, 2018 by Beau H.
Your new favorite fall shirt — or at least, a strong contender. There comes a time in every guy’s life when he as to consider the gear he needs to get through a new season. Especially when there’s fall travel on the horizon, or fall weekend adventures, or just lazy days at home. What gear gets the job done in that regard? Perhaps your new favorite Chelsea boots — from Taylor Stitch, naturally. Or the durable, tough and seriously stylish Proof Strong Shirt (as seen above and below). We’ve got all of that on tap and more in today’s edition of The List. Cheers! The durable chambray shirt mentioned above — unique and versatile. You’ve surely seen the durable Proof Strong Shirt featured in our Style Pick of the Week series — why not pick one up for yourself, ehh? Sleek-yet-rugged Chelsea boots that get the job done. You really can never go wrong with anything being made by Taylor Stitch — especially not the beautiful Taylor Stitch Ranch Boots. Slim jeans in rich, deep indigo. We’ve featured Flint and Tinder denim before, and we’ll feature ’em again here. Slim dark jeans are flattering on any guy — especially this American-made pair from Flint and Tinder. Beautifully rugged chukka boots that retail for quite the price — yet feature the durability and style to back it up. Helm Boots does a very, very nice job here. Exceptional chinos that you can wear year-round — but especially during fall and winter. Based on classic military fatigues, these timeless, durable chinos are worth the extra spend — wear ’em nearly any way you want (but especially with your favorite leather chukka boots and a classic chambray shirt). A change of pace from your standard denim jacket — and all the better for it. An exclusive to Huckberry, this tough Iron & Resin jacket teams perfectly with dark denim and tough brown leather boots. Add a rugged henley, and you’re good to go. One heck of a nice denim shirt, to say the least. When is a denim shirt more than a denim shirt? When it’s the handsome, extremely well-made Billy Reid Denim Shirt, that’s when. Nice, sharp socks — casual and cool. Hey, every guy needs ’em — and the Bixby Socks have some pleasing visual details that separate ’em from the rest of the options in your sock drawer. Slim, easy to carry and well-made — a surprisingly refined backpack option. For the guy who values a refined, slim backpack … Bellroy has just the thing. Fall-appropriate leather slip-ons at a great price. Sneakers still deserve a place in your fall footwear rotation — especially the rugged-yet-casual SeaVees Hawthorne Slip-on. A beefy, well-crafted long-sleeve henley. It sometimes pays off to have a crisp, clean tee in your rotation for lazy fall weekends. The Knickerbocker Mfg. Co. Long-Sleeve Henley checks all the right boxes. A tough and extremely handy essential for those small-yet-critical items. It’s the small everyday carry essentials that are often the most overlooked. Not anymore, with this beautiful, understated Notebook Caddy. A tough watch that’ll do just fine in the field this fall and winter. Yessir, it’s high time you picked up an adventure-ready watch. The Timex Archive Collection delivers once again. Absolutely beautiful speakers for your living room or denim. Is this Premium Powered Speaker Set from Audioengine uniquely pricey? Yes. Is it uniquely well-made? Yes, absolutely. Will it sound incredible playing your favorite album from, say, The National? Truly. So, you’ve had a chance to review these stylish, rugged gear picks. What was your favorite?? I’m a big fan of the excellent Proof Strong Shirt, as one might expect. Feel free to let me know your thoughts on Twitter — thanks for reading! September 22, 2018 August 30, 2018 by Beau H.
From a slim wallet to a stylish pen, the Bespoke Post Carry Box has the early fall essentials you need to stay organized. Your everyday carry essentials are perhaps no more important than at the start of a new menswear season — like early fall. We’ve been talking for weeks here on The Style Guide about transitional men’s style essentials to keep you looking sharp in spite of the changing weather — that’s where the always-handy Bespoke Post Boxes come into play. In short: Bespoke Post packages up menswear essentials and delivers ’em to you for one low price via its subscription service. Which brings me to the functional, truly excellent Bespoke Post Carry Box. What’s in store for you if you pick up this well-designed package of menswear goodies? Quite a lot, my friend. From the crisp and clean Line of Trade Slim Wallet (with room for up to 15 cards!) to the Fisher Bullet Space Pen, the Carry Box is packed full of those small, thoughtfully made touches you didn’t know you needed (yet). Take the Gerber Shard Tool — a pocket-sized multi-tool that can be had (along with the Space Pen and the Line of Trade Slim Wallet) for just $45 when you sign up to join Bespoke Post. How’s that for a heck of a deal to start a new menswear season? Bingo. Three refined, durable and great-looking everyday essentials in one agreeable package. Now, you might be wondering why the heck you’d need a new leather wallet or a new pen, or a new multi-tool, but the answer comes back to the fact that organization and attention to detail — from the ground up — really can shape a menswear ensemble. That is to say, the Bespoke Post Carry Box can be the perfect finishing touch if you’ve got your other men’s style essentials on lock. Whether you’re heading to a rock concert or schlepping your gear to a day at the office, the stylish and very well-priced Bespoke Post Carry Box can help you keep everything straight. And these goods aren’t just any old everyday carry pieces, either — the Fischer Space Pen is an investment-level writing utensil all on its own, while the handsome Line of Trade Slim Wallet comes in multiple refined leather options for maximum versatility. Each piece of the Bespoke Post Carry Box truly can be used every single day, and they’ll get better with age (yes, even the Gerber Shard Tool). And again, the Bespoke Post Carry Box is available for under $50 when you sign up to join Bespoke Post — what’s not to love about that? If I were you, I’d be all in. September 21, 2018 September 14, 2018 by Beau H.
This weekend in particular is one that blends both those fine categories! That specifically means I’m heading back to Michigan for my first trip to the Audiotree Music Festival (in the beer-centric city of Kalamazoo!) with my wonderful fiancée Laura! On our list to see on Saturday? Headliners Local Natives, a favorite band of both of ours! They make incredibly poignant and lovely music, and some amazing songs in particular (including the poetic “Everything All at Once.”) To say they’re an important part of our relationship would surely be an understatement, and it’s helpful that they’re a band of kind, talented, caring (and very stylish!) guys. What’s more, it’ll be very fun to see them for the first time since Govenors Ball 2017 — prior to that, I caught the band in a spring 2017 trip to Pittsburgh. Of course, bands like Brooklyn indie rockers Diet Cig should also prove pretty fun to see at Audiotree, what with their unique blend of energetic, punk-inspired rock. Aside from Audiotree, Laura and I are both looking forward to catching up with family and relaxing in Pure Michigan. What are you listening to this weekend? What are you wearing this weekend? Feel free to let know on Twitter, or follow along on Instagram. Let’s keep it easy to start: Looking for a stylish and surprisingly affordable crewneck sweatshirt? The folks at Gustin have you covered — read more at Well-Spent. Speaking of stylish and essential gear, I covered the best men’s leather belts for my buddies at The Manual. There are some of my favorite brands of the moment featured, including WP Standard (see more of them on my Instagram) and of course, Abercrombie & Fitch (makers of your new favorite chinos). And last but not least: Fall, for me, means stepping into a stylish pair of leather boots (kind of like the Rancourt & Co. Wolf Boots, for starters). That’s why it was such a pleasure to be able to speak to the inimitable Mr. Todd Snyder about his latest collaboration, the excellent Red Wing x Todd Snyder 877 Moc Toe Boots. They’re durable, they’re exceptionally well-made, and they look seriously great. Try them out for yourself, soon. That’s going to do it for me today, my friends. I’ve got a music festival to attend and some brews to enjoy — cheers!